This entry was posted on 24 Dec, 2008 at 12:24 pm and is tagged with , certificate, comodo, firefox, ssl. Trackback. Thanks! I’m trying to do this in Chrome too, however there are no AddTrust root certificates in Chrome it seems. So I guess Chrome users are already good. :) Unless AddTrust is covered by the COMODO root cerficiate, which is present in Chrome. Hmm… looks like Chrome just uses Microsoft’s Root Certificates. 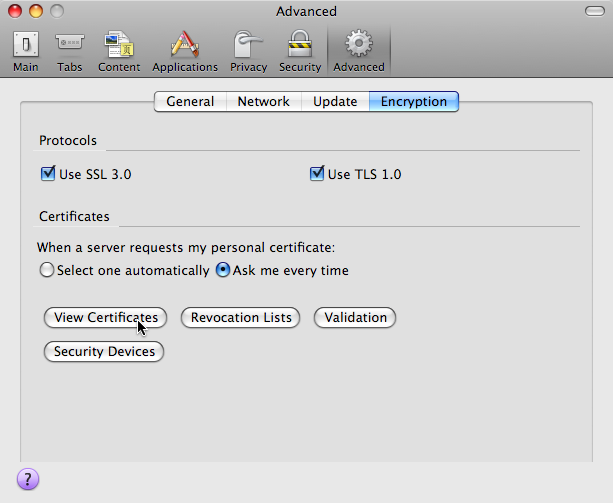 When you go to manage the certificates it just pops open the Internet Options dialog for it. Thanks! The paranoid approach appears to have disabled Expedia.com from being trusted for me (I *think* it uses a UserTrust network certificate). 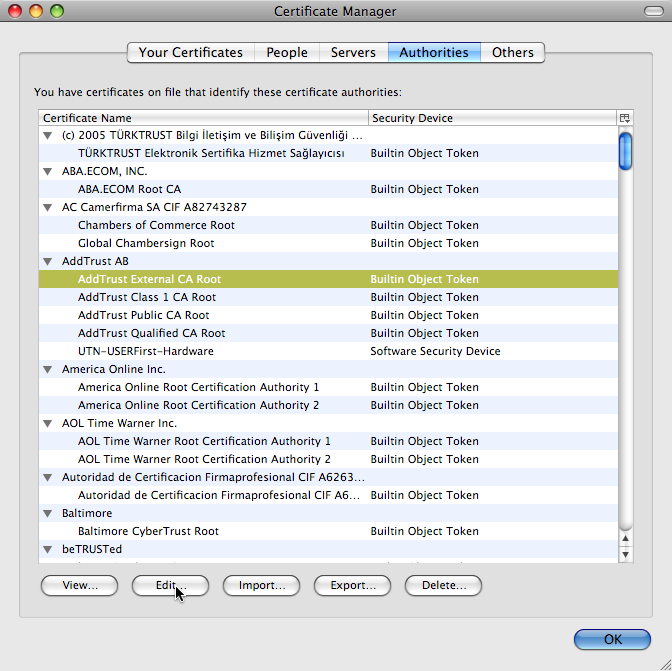 Hmm… the bogus certificates (as shown in Eddy Nigg’s blog post) were issued under UTN-UserFirst-Hardware, so wouldn’t it be pointless to disable the AddTrust root?